From ghosts to monsters, cupcakes to cookies, here are 15 Halloween Treats that the kiddies, as well as the adults, are sure to love! Halloween is just around the corner. It's time to pick out our costumes and plan our Halloween festivities. Oh, and we can't forget the treats! Those are the best part! I have compiled a list of 15 terrific recipes for Halloween treats. You will find the list below. Simple click on a link to open up the recipe. Whether you are throwing a Halloween party or just want to make a fun treat for your family, these Halloween treats are perfect for serving on the big day. 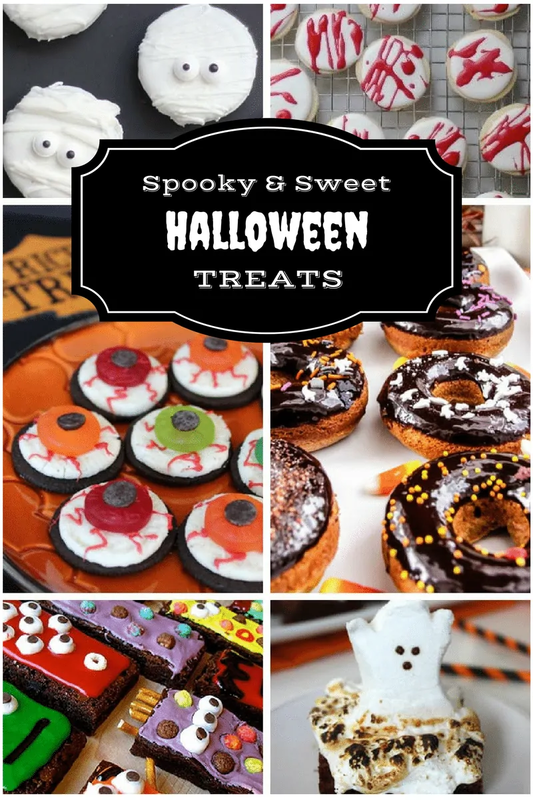 You will find everything from Halloween donuts to Halloween cupcakes. From ghosts to monsters, there are lots of treats that the kiddies, as well as the adults, are sure to love. Fun ideas here! My daughter’s bday is close to Halloween. We love to have a Halloween theme bday party every year. Ideas like these help us a lot! Such cute ideas and perfect for a party! Ohh these are so ADORABLE! Thanks for the Post, Pictures, and the Links! All of these recipes look so good. They will be so great to try out in time for Halloween. The gingerbread donuts will be great to make not only for that holiday but also Thanksgiving! These Halloween recipes are so fun and creative. There are endless possibilities when it comes to Halloween. I can’t wait to try some of these for our Halloween party! I’ll have to remember these for next year.